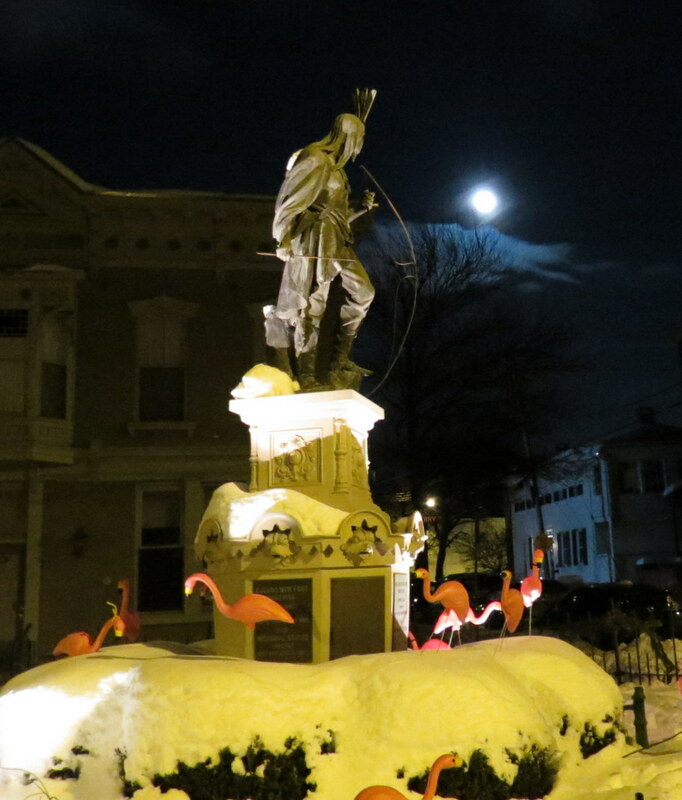 . . above: [L] 10:30 pm, Feb. 13, with moon; [R] 3:30 pm, Feb. 14 . .
Maybe they’re jaded by visits to their namesake in Las Vegas [image to the right]. 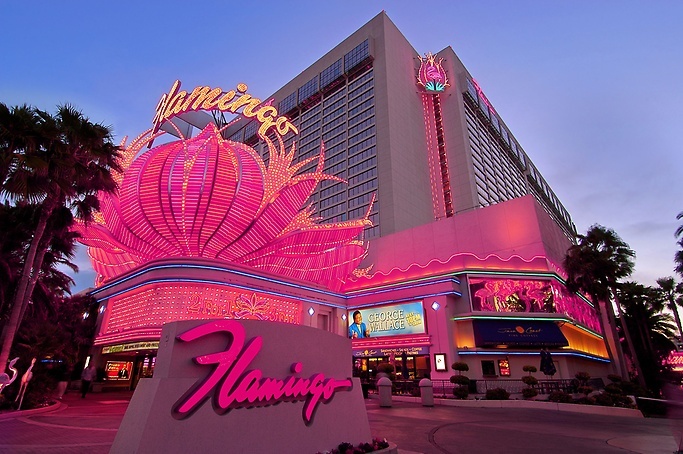 Or, they just couldn’t find Rivers Casino without an 80′ pylon sign to guide their landing. 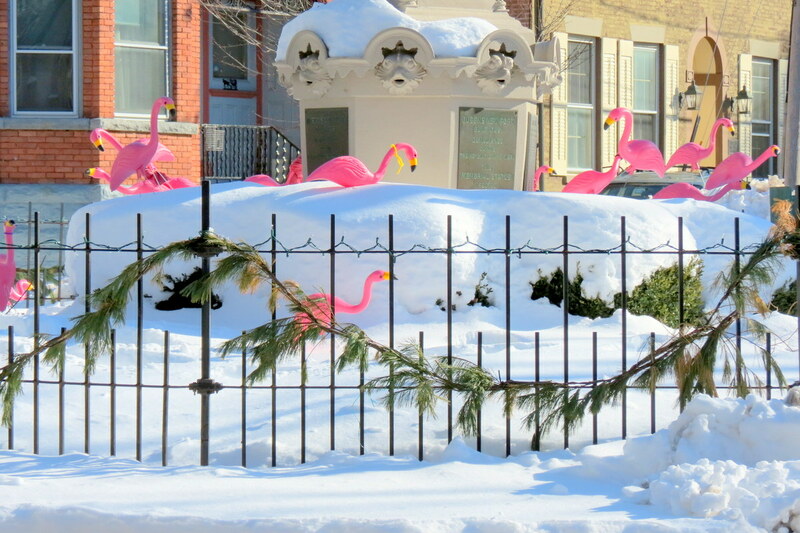 We’d like to think they simply love the romance and mystery of their annual visit to the Schenectady Stockade. 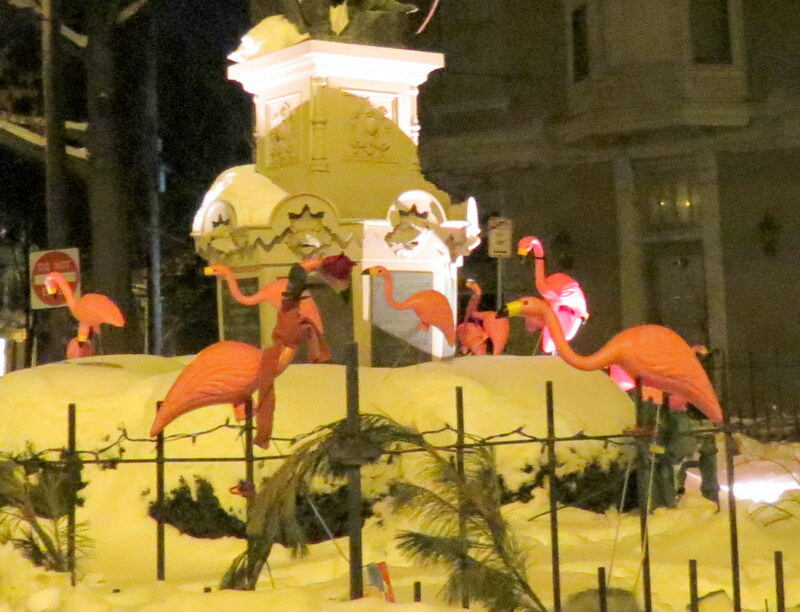 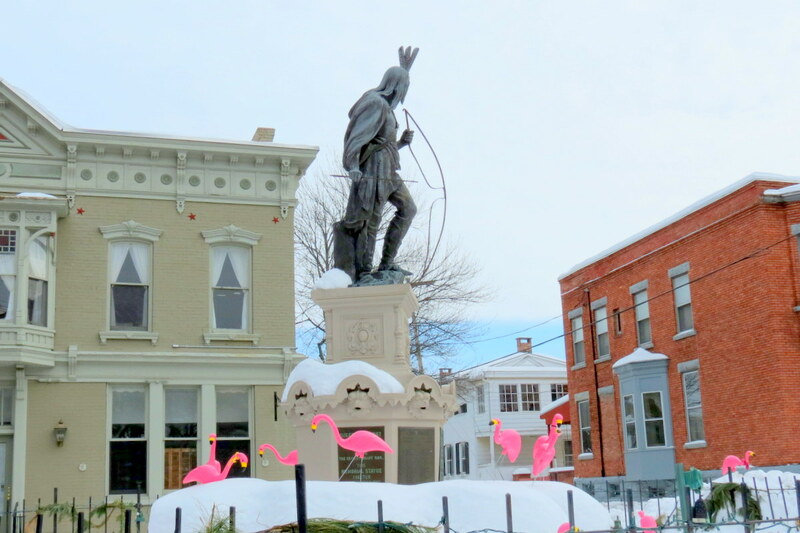 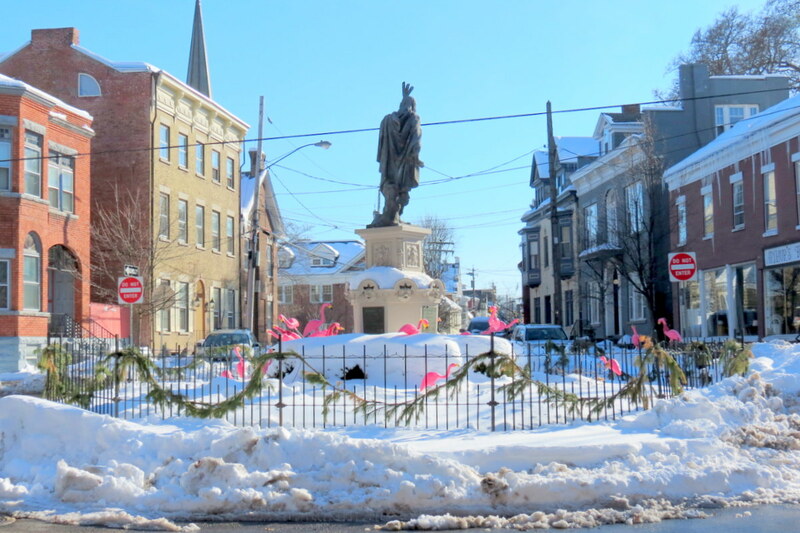 For whatever reason, Valentine’s Day has again drawn a large flock of pink plastic flamingos to Lawrence Circle in the Schenectady Stockade. 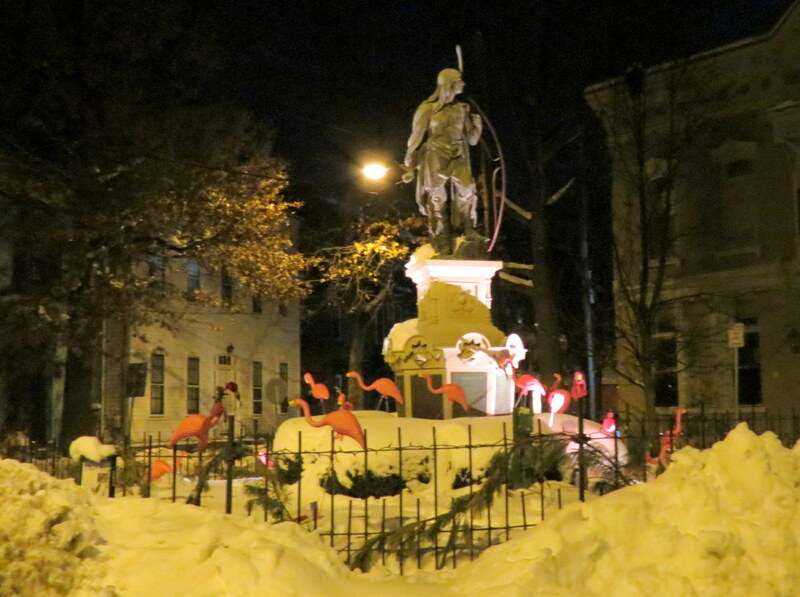 The birds arrived about 10 P.M. last night, February 13. 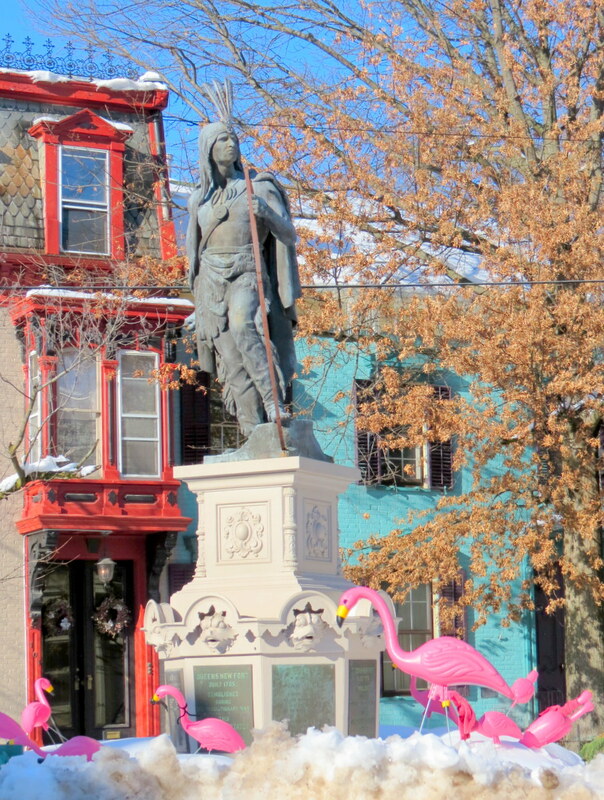 Once we have some Valentine Day daylight, and maybe even a bit of blue sky, our editor will get his old Canon back to Lawrence Circle, and post a flock of photos. 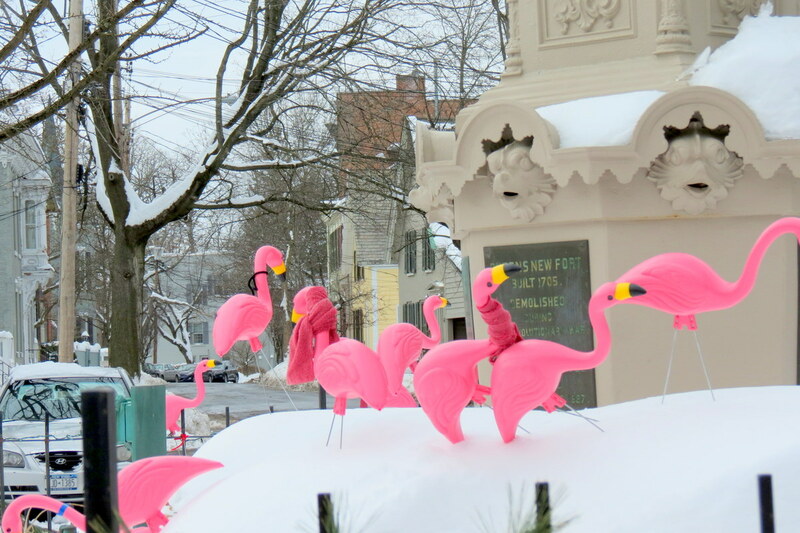 If you need a Flamingo Fix before then, see the links on our Valentine Flamingo Category page, or view the 20-page photobook “Valentine Flamingos in the Schenectady Stockade: whimsy and mystery at Lawrence Circle” (3rd Edition, 2016; contact us to obtain a copy for our price to print it). 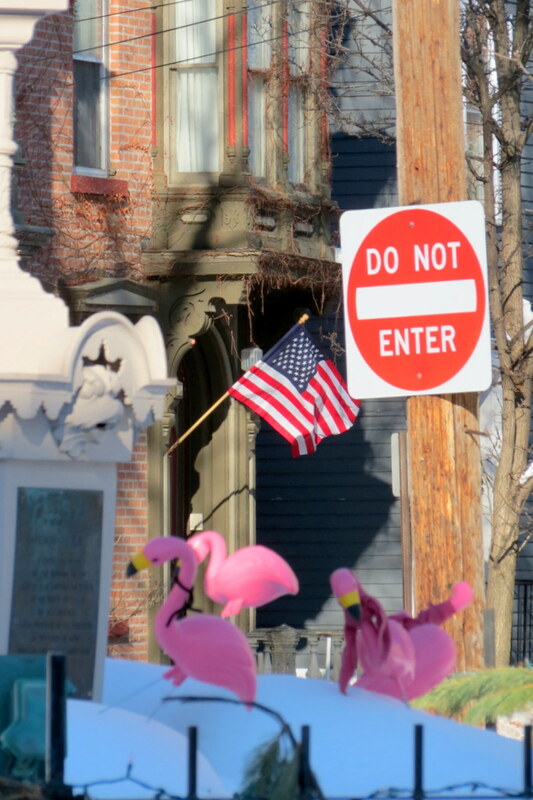 update (5 PM): This slideshow has about twenty images taken under blue skies mid-afternoon today. 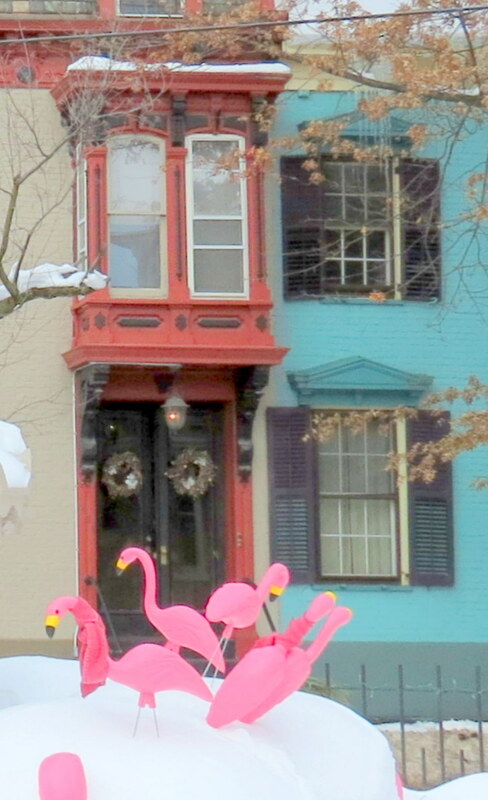 Flamingos and Lawrence Circle from lots of angles. 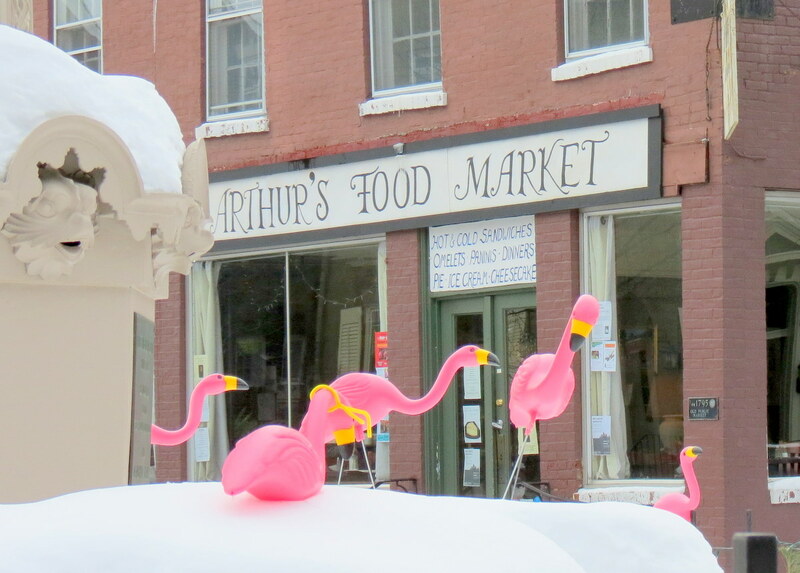 Don’t forget, you can see (and download, if you’d like) a larger version of any photo by pausing the slideshow on the photo, right-clicking, and choosing “open image in a new tab/window”.